Looking for a REAL wildlife experience? Visit Saturday, April 6, 2019 to witness a special Komodo dragon feeding! What makes this feeding so special? 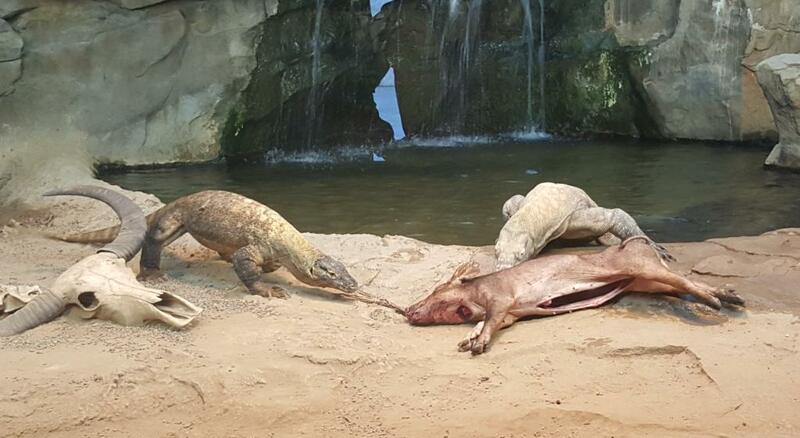 You’ll be able to watch our two Komodo dragons feast on an entire animal carcass. Gruesome? A bit. But in the wild, these top-of-the-food-chain predators pull down animals as large as rusa deer and water buffalo; multiple dragons join in as they tear the prey into bite-size gulps. In captivity, these lizards are often fed small rodents and seldom have an opportunity to use their razor-sharp teeth and powerful neck muscles. Since it’s natural for dragons to carcass feed, it will be beneficial for our dragons to work their muscles and exercise this behavior. The feeding will start at 11:00am and will likely continue for a few hours. 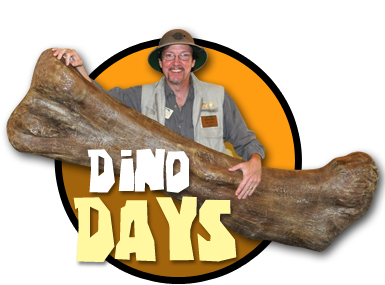 Join us for this natural and fascinating event! We like to give the public the opportunity to experience these types of feedings, but keep in mind, they are not for everyone. In addition to the actual feeding, the dragons may get into a tussle or two. Rest assured, we will have sufficient staff on hand in the event that we need to separate the dragons. All that said, we ask that you please consider the graphic nature of this feeding before attending, especially with small children.